Volunteers play a critical role in the success of communities across Tennessee. Through nonprofit organizations, national service programs, faith-based organizations, and neighbor-helping-neighbor, outstanding volunteer service is part of our state heritage. 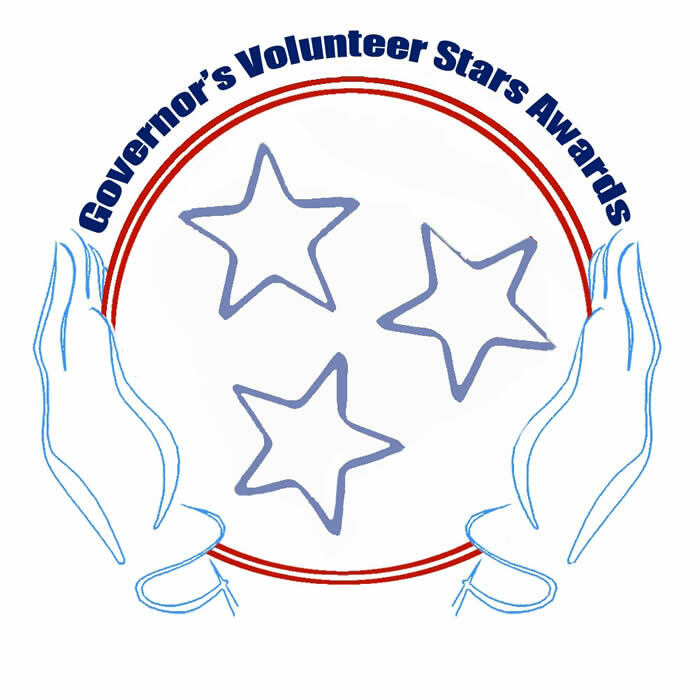 In partnership with Volunteer Tennessee, local volunteer centers honor outstanding volunteers through a statewide volunteer recognition program, the Governor’s Volunteer Stars Awards. Each year one adult and one youth (up to age 25) in each county is honored for his or her exemplary volunteer service. This award is the highest honor a volunteer can receive in the state of Tennessee. Please click here to view more information, including eligibility, guidelines and judging criteria. Volunteer East Tennessee will accept nominations until November 19, 2018, for the following counties: Anderson, Blount, Claiborne, Cocke, Grainger, Jefferson, Knox, Loudon, Monroe, Roane and Sevier. Nominations will be reviewed by a committee who will select the top adult and youth from each above county. While these volunteers will be invited to the ceremony in Nashville, all nominees will be honored at the East Tennessee Volunteer Recognition Awards.